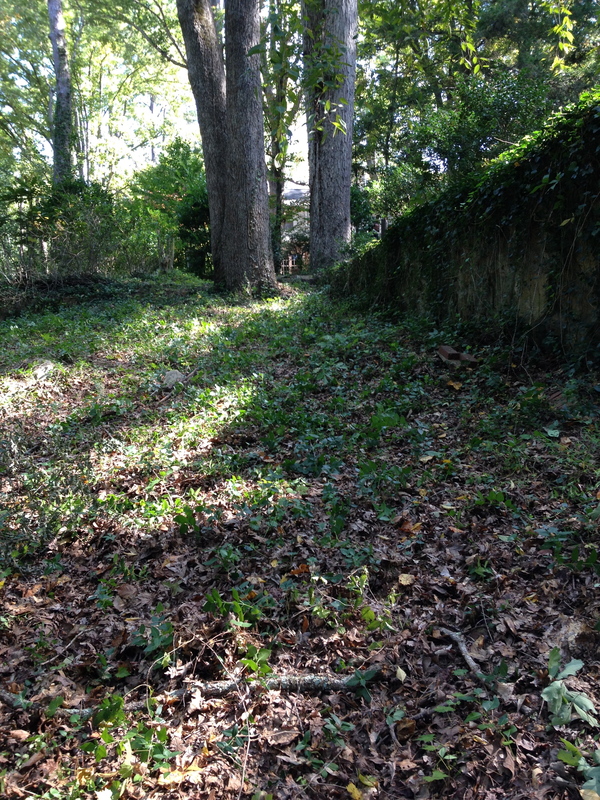 Recently we completed a Chapel Hill stone and masonry project for homeowners that had just purchased the home and wanted to transform the backyard which was steep, overgrown and unusable. The goal was to create a space the family could use for relaxing and enjoying the outdoors. They wanted to keep the new stonework in line with the look and feel of the original masonry, most of which had been installed about 70 years ago. 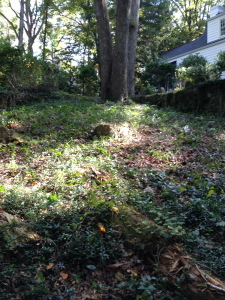 Natural Designs stepped up to the challenge of working within this steep terrain and matching previous stone work from seven decades ago. 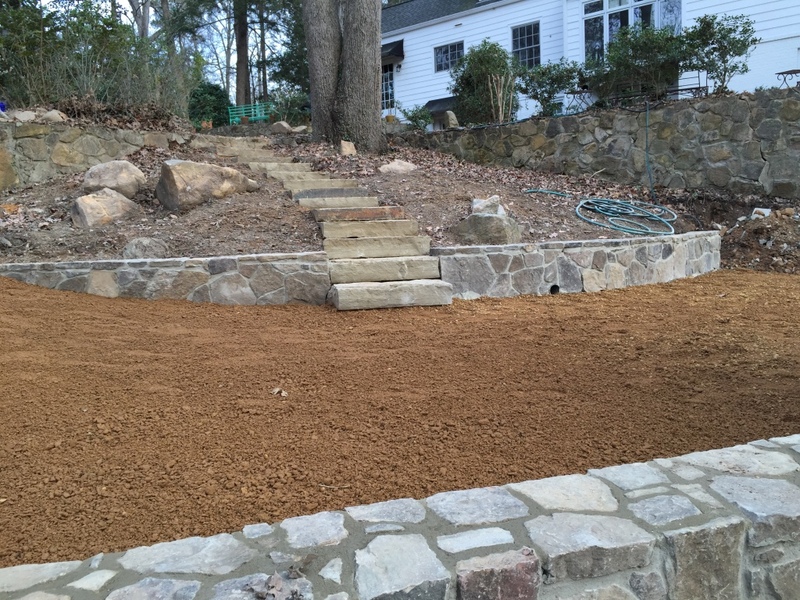 We were able to excavate a level area using stone retaining walls and utilized natural stone slabs to create a unique step pathway which leads down to a terrace. 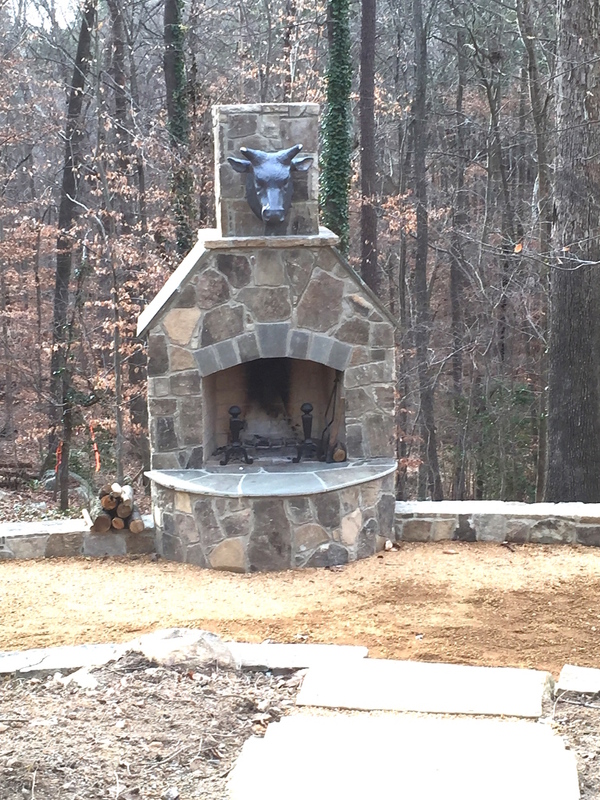 The terrace features a natural stone fireplace crowned by the homeowner’s one-of-a-kind eclectic bullhead. 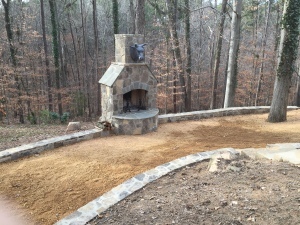 For information about our masonry and stone work or any other landscaping project contact us or call (919) 522-3886.